One-time Air Force pilot and law enforcement officer Larsen (Fly by Wire, 2012, etc.) brings back the central characters from his first thriller, The Perfect Assassin: Dr. Christine Palmer and her husband, former Mossad agent David Slaton. When Christine disappears from a medical conference in Stockholm, David abandons their life of quiet anonymity in suburban Virginia and sets out to find her. He quickly understands that his wife’s security depends on him returning to his former life as Israel’s best assassin. David discovers the old reflexes of the assassin’s game and uses his very special tradecraft to navigate his way through a trail of violence, but he realizes that this path must end with him taking down a high-priority target. After a number of Israeli operations have failed to kill the brilliant Iranian scientist who could develop a nuclear missile for his country, David’s former employers in Israeli military intelligence plan to use him as their final alternative. However, an obsessive detective, a manipulative Mossad director and the financial legacy of an international arms dealer are among the many factors that complicate this mission, while adding twists and turns to a well-developed account of international espionage. 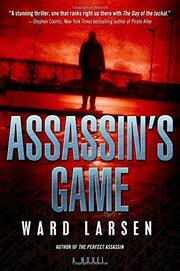 A must-read for anyone looking for the next great assassin saga.